The Inclusion Leadership Award recognizes an individual for his/her efforts aimed at promoting diversity awareness, representation and inclusion within the India Inc. S/he would have shown a passionate commitment towards D&I agenda other than their own KRAs and have been influencing their organizational team and stakeholders consistently to adopt the inclusive culture. 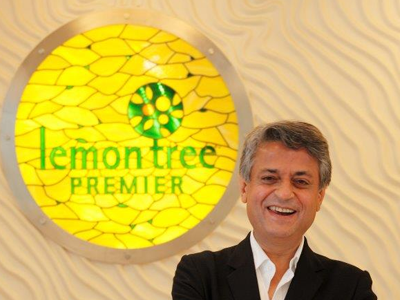 The recipient Patu Keswani, Chairman & MD of The Lemon Tree Hotel Company, is the recipient for this award. Lemon Tree Hotel employs persons with disabilities and imparts relevant employability skills to them and sensitizes others too, to help them realize their full potential and live with dignity. 15 % of the employee base comprises of such persons; and doing this while ensuring the business context of customer delight truly makes him an Inclusion Leader. Our mission is to create a more inclusive environment where differences are recognized, understood, appreciated, and utilized to its full potential. We equip individuals, institutions, and communities with the tools needed to build and develop an inclusive world. Regular updates on sales and promotions in your area. Stay in the loop!